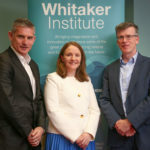 Dr Jenny Mc Sharry was a co-applicant on a successful £2,511,765 UK National Institute for Health Research Programme Grant for an applied research project entitled “SUpport through Mobile Messaging and digital health Technology for Diabetes (SuMMiT-D)” awarded in June 2016. The project is led by Professor Andrew Farmer at the University of Oxford. Jenny Mc Sharry will lead on the implementation science aspects of the project.